Artemis is Pet of the Week! 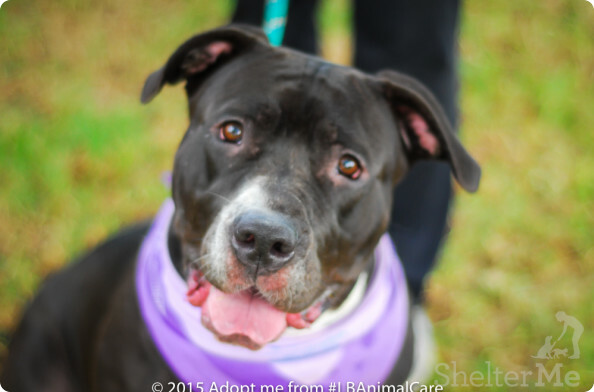 You are here: Home / Pet Corner / Artemis is Pet of the Week! Artemis was named for the Greek goddess of the wilderness, animals and nature. Shelter staff feels that this one-year-old Staffie is well named, as she’s energetic and would be a great companion on nature hikes. Artemis was a surrender because her owners lost their home, and she’d love to be the goddess gracing your hearth. Meet her on the shelter side of the Companion Animal Village at 7700 East Spring St., (562) 570-PETS. Ask for ID# A560390.